If you’re pursuing a career as a web developer, you’ve made an excellent choice. Web development is one of the highest paying sectors for people who are just starting their careers. So, if you wish to build a website for yourself or start your journey as a highly profitable web developer you need to start somewhere. Web development is a broad spectrum, so before you begin, it’s a good idea to have a clear goal in mind. Your goals could range from making a career change to opening a personal e-commerce store. Or merely developing for friends or fun. Whatever, your goal is, make sure to understand what you’re doing and why you’re doing it. Web development consists of many smaller branches of work, having a clear goal will help you decide what to learn first, and what to skip. A great place to start would be online learning platforms like BitDegree. It offers a wide range of courses tailored for web development, but it’s best to start at the very beginning. And, the beginning should involve you choosing back-end or front-end development. Front-end — consists of everything that the user see’s. The whole website design, menus, button interactions and images that create the user’s experience. That’s why it’s called the frontend. It’s like the front of your store and what the user sees when he enters your store. As a comparison, back-end development is writing code which is not seen by the end user. Usually, it involves working on system functionality improvements, APIs, libraries and similar. In simple words, back-end development means working with code which is not seen directly. HTML is used to represent various content like paragraphs of text, headlines, tables. Regarded as one of the most simple languages to learn, HTML is an excellent starting point for any developer. No matter which area of work you choose, HTML is part of the default “I know how to use a computer” package. CSS is used to style the content you create with HTML. Think of your website as a can of soup. HTML is the soup and text on the label, while CSS is the design and layout. The best place to learn HTML & CSS development is BitDegree, where you can find interactive HTML & CSS course. All coding takes place inside the browser, so no additional downloads are required. By the end of the course, you’ll even have a basic website up and running. The course takes about a day or two to complete. Backend — usually associated with databases. The backend of the website is like a storage room of the store, out of sight for the visitors. But, a crucial part of the store itself. Backend developers are usually great problem solvers, incorporate logical thinking into their everyday lives, and are more interested in the functionality of the website, rather than the looks. Back-end developers use server-side languages such as PHP, SQL. Basic understanding of HTML & CSS is almost necessary to represent any data in a presentable fashion. If your website collects any information from the user, like email addresses, names, last names, etc. You’ll have to store this information in a database. SQL is used within the database to filter, add, remove, merge this information. Going back to the store example, imagine that the database is your storage room. It’s massive, but thankfully you have an employee who knows it well. He knows where every single item is stored, but only speaks the SQL language. So to ask him something or give him instructions you would need to use SQL. Where to begin learning SQL? Online of course. You can start your journey via this SQL course Interactive SQL Tutorial: Learn SQL Commands and Practice SQL Online. Coding takes place within the browser, and the pacing is excellent. This course should be enough to get you prepared for your first project. To make your website more functional, you use PHP. This programming language is excellent when it comes to website – database communication. If you’ve ever used a login form, most likely than not it was made using PHP. When you type in your login details into the website, PHP goes and checks the database if the details are correct. If it’s a match, you successfully log in. To study PHP, I recommend you start with this course Learn PHP Online: PHP Basics Explained in an Interactive PHP Tutorial. The best courses use interactive learning environments. So, you will be able to start coding straight away. And, there will be no need to set up a local development environment first. Writing code, testing, and seeing a visual representation of your code is a tremendous motivational booster. With that being said, congratulations, you’re now on your way to become a web developer. 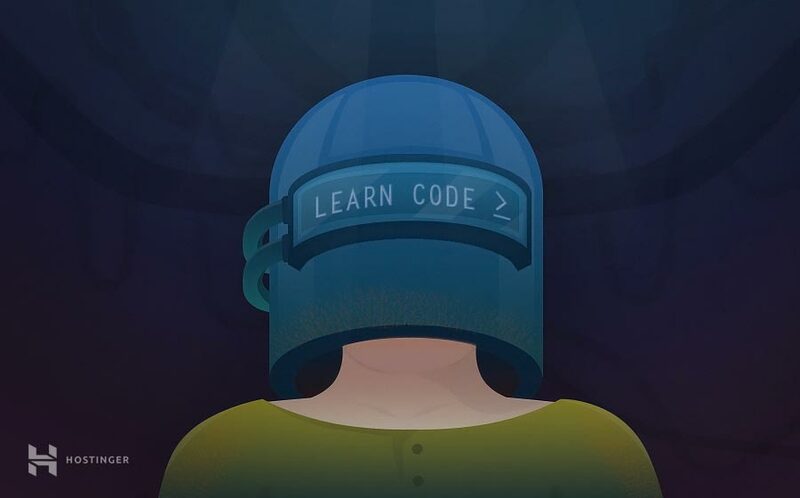 Choose if you want to be a front-end or back-end developer, and start learning the associated languages. Some additional tools to consider when working with front-end development would be GitHub and Adobe Color. Adobe Color allows you to choose from a variety of pre-made color schemes, which makes the design process more manageable. 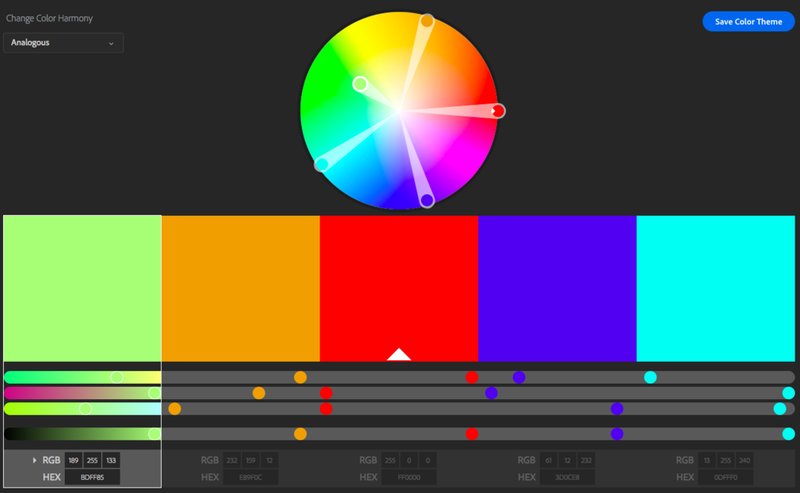 You can also use their color wheel tool if you need to get a HEX code for a specific color. HEX codes are used when coding with CSS, and each HEX code corresponds to a unique color. The color wheel can also be used to create unique color schemes. It’s a great tool if you want to get some inspiration. For both frontend and backend developers, I would also recommend to familiarise themselves with GitHub. This tool allows developers to make changes to the front-end or the back-end to their websites without affecting the original code. The way it works is by branching your code into two separate locations and editing only the clone to preview changes before going live. GitHub offers a plethora of other functions as well. The ability to create tasks, tag members, and micro-manage your products. Most workplaces take advantage of GitHub, and many employers may ask you to show them your GitHub account so they could better understand your thought process and why or how you’re implementing changes. Once you need to collaborate with other team members, GitHub becomes an essential tool. You can view more about GitHub on the video they’ve created. 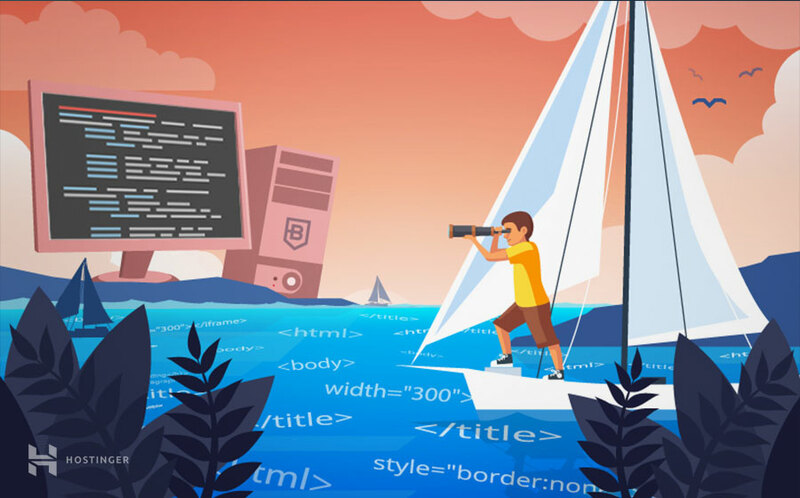 There are a lot of different languages that a web developer needs to master, it doesn’t matter if you’re looking to start as a front-end or a back-end developer. It’s a long road ahead. However, there are online learning platforms that can help you learn. And, it’s widely thought that the best developers don’t even have a formal education.